Usernames and passwords just aren’t enough; hundreds of millions of online accounts have already been hacked while new phishing, malware and man-in-the-middle threats are emerging all the time. Account takeover, or hijacking, allows criminals to use your stolen identity for any number of illegal activities; from obtaining loans in your name to posting prohibited content. 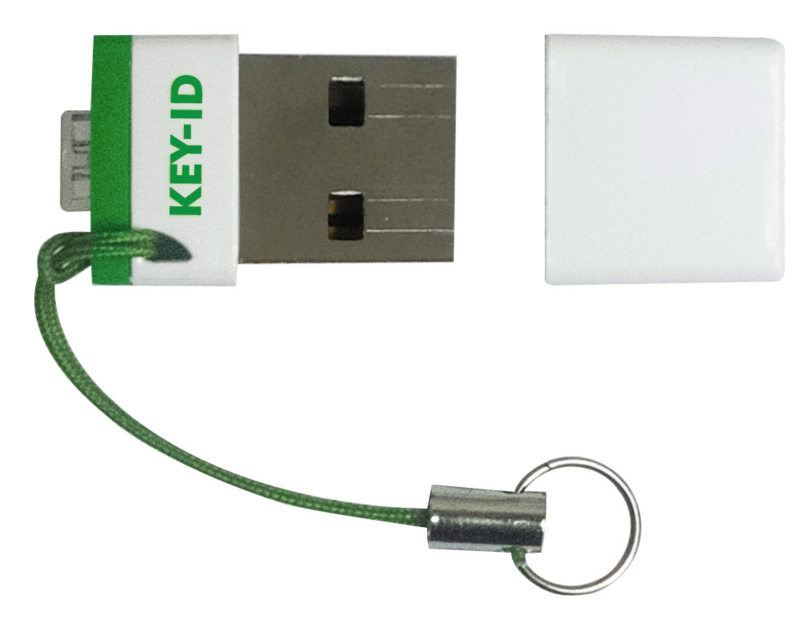 The Key-ID FIDO U2F key is a convenient USB push-button device for protecting your online accounts. You can register the same key for use with all your FIDO-enabled online services (such as Facebook, Google, Dropbox and GitHub). It’s so simple to use, just plug-in and press the button when prompted during account sign-in. Sign-in to your Google account & select ‘Signing-in to Google’ from the Security section. Select ‘2-step verification’ & ‘Get Started’. Enter your mobile number & click ‘Next’. Enter the code sent to your mobile. Click ‘Turn on’ to confirm the use of 2-step authentication on your account. Scroll to ‘Authenticator app’ and click ‘SET UP’. This is a more secure back-up access method than using mobile SMS. Choose your phone type. If you don’t have the Google Authenticator App you’ll need to get it from the link provided. In the Authenticator App select account set-up and scan the on screen QR code and click ‘NEXT’. Enter the code generated by the Authenticator App, click ‘VERIFY’ and ‘DONE’. Scroll to ‘Add security key’. When prompted insert your USB U2F key and press the button on it. Click on ‘Done’ when the confirmation message appears. Scroll to ‘Voice or text message’, click the edit icon and ‘REMOVE’ the less secure mobile SMS back-up option. That’s it – your key is registered. Re-confirm your password to enable two-step verification. Once you do, you’ll be given the choice to receive your security code by text message or to use a mobile app. A mobile code generator app is a more secure back-up access method than mobile SMS. If you don’t have a code generator app (such as Google Authenticator) on your mobile you’ll need to get one from the link provided. With the Google Authenticator App, select account set-up and scan the on screen QR code and click ‘Next’. Enter the code generated by the Authenticator App and click ‘Next’. Skip the option to add a mobile number, as SMS codes are less secure. You’ll be given a set of one-time backup codes to access your account if you don’t have your key or code generator. Keep these safe. Click ‘Enable two-step verification’, and then ‘Done’. Go to Security keys and choose ‘Add’. Re-enter your account password and click ‘Next’, and then ‘Begin setup’ for your key. When prompted plug in the key & press its button. That’s it – your key is registered. For more information, please visit the Dropbox instructions page. Click on the account settings ‘padlock’ icon in the upper right of the screen. Select Edit next to the Login Approvals section. Click ‘Set-up’ next to ‘Code generator’, so you have a secure back-up access method. If you have the Facebook mobile app, you can use it to generate log-in codes, otherwise you’ll need to use a 3rd party mobile app such as Google Authenticator. Click ‘Add key’ next to the Security keys section. Click ‘Add key’ in the pop-up. Insert your U2F key in to a USB slot and press its button. Give your key a name and click Continue. Confirm by clicking ‘Enable’, and un-tick the option to allow two-factor authentication to be disabled without the use of a doubly authenticated log-in. The Key-ID U2F key secures access to all you FIDO-enabled online accounts.